Business owners must spend some time away from operational discussions and engage in larger, creative conversations to effectively lead the industry into the future. The first commercial health club opened in 1936, and, over the last 75-plus years, our industry has experienced a remarkable level of growth, innovation, and success. Yet, in comparison to other industries, we lack a certain level of respect or credibility within the academic, medical, and scientific communities, as well as among lawmakers and business associations. Why? Because we think too much like business owners, and not enough like industry leaders. What's the difference between being an owner and being a leader? Business owners devote 100% of their energy to their business; industry leaders recognize the value of a “rising tide” and invest a small portion of their time and money to protect and grow the industry. Business owners don’t spend time with competitors; industry leaders unite to collaborate and share ideas to fashion a better future. Business owners have goals that are centered on their business, their community, and their personal life; industry leaders recognize that they’re part of something bigger, and strive to position the industry for decades of success. Business owners are thankful for their teams and repay them with gratitude, compensation, and employee benefits; industry leaders appreciate the industry that’s allowed them to live a meaningful life filled with wealth, health, and rich experiences, and repay it with their personal time, money, and other resources. At this time, our industry needs more engaged leaders—not just smart business owners—because the years ahead represent a critical opportunity to position ourselves at the intersection of numerous market factors: e.g., rising obesity, escalating healthcare costs, government intervention, and health-promoting legislation for employers and consumers. By pooling our resources—our creativity, intelligence, funding, and willingness to collaborate—we can positively change the landscape for our clubs, our members, our communities, and the entire industry. And, in our own small way, we can make the world a better, healthier place. It doesn’t matter if you own one club or two dozen. Each one of us can contribute ideas, time, or money. Become an industry leader by becoming active in IHRSA’s Industry Leadership Council (ILC). 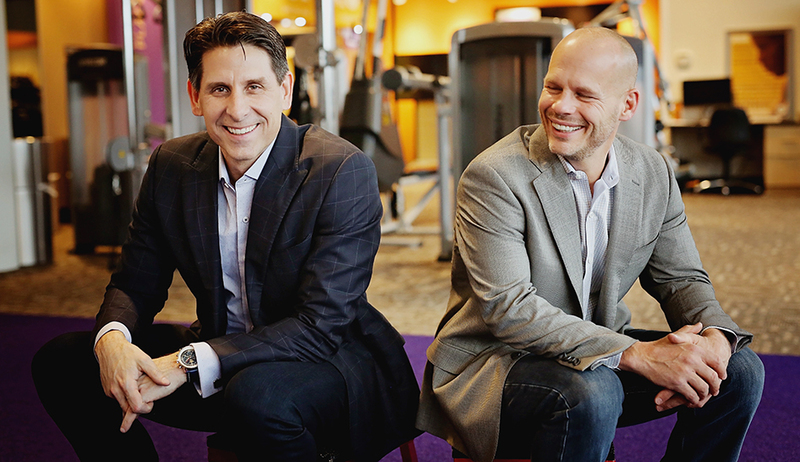 Chuck Runyon is the co-founder and CEO of Anytime Fitness.